Content Warning: 18+. Graphic Depiction of Death. An innocent boy is lured to his death by the one person that should have protected him. Someone knows the truth about his disappearance; his little sister, Obele, a child that hears a secret voice which tells her terrible things no child should know about. Obele knows too much and must be killed. Her salvation lies in the hands of her new friends, a group of giggling little girls she meets at an abandoned "cursed house." Except their friendship comes with a terrible price. And suddenly, Obele starts to ask herself who exactly...or rather, what exactly are her new friends. Worse, how can she free the tormented ghost of her dead brother, trapped by a witchdoctor's curse? Set amidst the Biafran War, "The Sleepless" follows one child's struggles against both the natural and supernatural forces that threaten to end her life before the deadly enemy bombs can do so. And perhaps, death from the skies is a better option than the terrifying alternative. 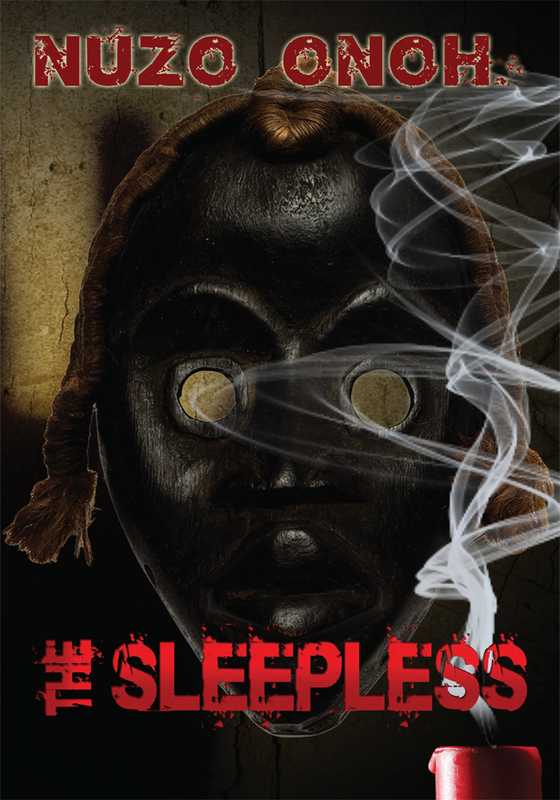 "The Sleepless" - Another chilling tale about the restless and vengeful dead by the Queen of African Horror, Nuzo Onoh." Papa yanked Obelé close and placed a large hand over her mouth, shutting off the song. ‘You will shut up right now or I will kill you myself, I swear,’ his voice was like thunder, blackened with rage. ‘If I hear another word….’ Papa broke off, his words suspended in the air. He stared towards the witchdoctor, beyond the witchdoctor, his eyes goggled. His hand on Obelé’s mouth dropped and the hand holding her arm went slack. Obelé stumbled away, following the direction of Papa’s eyes, his pointing finger. The Dibia turned to look. Two great black Mambas were slithering towards them from the tree next to the caged cats. Their movement were fast, their intention clear. Death glinted in their twin mercurial slits. Obelé froze, struck with terror. Of all God’s creatures in the world, nothing petrified her as much as snakes, not even cats. She would chose a hundred strokes of Papa’s utali any day over the sight of the tiniest snake. The two snakes slithering with incredible speed towards the Dibia, were huge, gigantic. The Dibia screamed and turned to run. He made it to the entrance of his hut and stopped, horror coating his face. Obelé saw what the witchdoctor saw, what Papa and Abundance saw; The Ghost Girls, beautiful in their scaly nakedness, their shiny skin as grey as ash, green eyes glowing in the night, sharp teeth white as death. This time they came in multitudes, in their tens. They lit up the night with their spectral glow, illuminating everything with terrifying clarity. They blocked the entrance to the hut, giggling, laughing. Water dripped from their skin, forming a steady stream that flowed into the hut. In seconds, the compound was transformed into a swamp. The buried cats howled as water covered their heads. The Ghost Girls giggled louder at the plight of the cats. The Dibia stumbled back, slipping on muddy water, dropping the cat and his machete. The cat scuttled away with a loud yowl. The giggling wraiths advanced towards the Dibia, their movement fluid, ghastly. The phosphorous glow followed them like a bright shadow, a hovering cloak of brilliance. Some of them crawled, their arms like crabs, even spiders. Others flew, floating around the Dibia, hovering over his head like birds of prey. Soon, they formed a ring around him and began to dance. Obelé knew what would follow; the circle of torment. She had witnessed that ghastly ritual multiple times inside the drenched bedroom of Ike Okoye’s cursed house. Except the victims then were ghosts. This time, it was a living victim. She steeled herself for what she knew was coming. The Ghost Girls began singing the familiar tune, The Sleepless song. Their voices echoed in the forest, disincarnate, chilling. They pulled the Dibia’s hair and bit into his skin, staining their teeth red. They carved deep marks on his skin, their claw-like fingers wet with his blood. Nails, stones, sticks and broken glasses drew patterns of agony across the medicine-man’s body. The little spectre, Promise, she of the Nwa mulu-amu fame, reached out and snapped the carved cat charm from the old man’s neck. The witchdoctor shrieked, arms flaying, trying to ward them off, slicing through empty air. He fell to the ground, next to the three buried cats, babbling, incoherent with terror. The girls giggled, their laughter gleeful, chilling. Abundance screamed and ran towards Papa. She didn’t make it. The Mambas struck, felling her to the ground. Their fangs sank into Abundance’s legs. Twin assassins, they plunged a rapid succession of bites, their movements aggressive, swift and deadly. Abundance screamed, scrabbling on hands and knees towards Papa, who was rooted to his spot like a stone statue. The Mambas raised their heads and struck again, this time on Abundance’s naked thighs and arms. Over and over, their heads dived, piercing her skin, dumping lethal venom into her bloodstream. Abundance’s movements grew sluggish, heavy, tortured. Terror and pain glazed her pupils. She opened her mouth and Obelé gasped, staggering back. A black protrusion that was once a tongue, crawled from Abundance’s mouth, the size of an orange, swollen beyond reality. She struggled to speak but all that came out was a low grunt. Abundance began frothing, her mouth covered in thick white foam. Her arms and knees collapsed underneath her as she lay twitching, convulsing like the epileptic boy in Obelé’s classroom, the one they called Ike Nwanyi, because he trembled like a fat woman’s buttocks when the sickness hit him. The Mambas raised their great heads and stared at Papa. They looked at him with deadly intelligence, the way a human would look at another, enemy to enemy. Then they turned and slithered back into the forest, leaving the dying body of Abundance by Papa’s feet. 1. African Horror is not a reference to AIDS, famine or Ebola, just as Indian Horror is not a reference to rapes or honour killings. African Horror is a literary genre in its own right, a sub-genre of horror that has existed for centuries, albeit without a formal title till my book, The Reluctant Dead, began spearheading the term, African Horror. 2. African Horror encompasses several horror sub-genres like supernatural horror, psychological horror, demonic/occultic horror, sci-fi horror (popularised by Nnedi Okoroafor) slasher/gore/splatter horror and paranormal romance to mention a few. My books are focused on African supernatural horror, specifically, ghosts and hauntings. 3. Just like the old Japanese Kaidan tradition, African Horror stories are geographically targeted, depicting the core traditions, beliefs and superstitions of a particular village/tribe within a horror context. Thus, my books, The Reluctant Dead and Unhallowed Graves will resonate with anyone familiar with The Ring or The Grudge. 4. African Horror is usually steeped in the moral values of individual tribes, with most stories reinforcing these values and the dire consequences of ignoring or abandoning them. Thus, in Unhallowed Graves, we witness the terrible events that befall a grieving mother who goes against the village traditions and attempts to resurrect her son buried in Ajo-ofia, the unhallowed burial ground of people deemed to have died an unclean or bad death. 5. African Horror has a strong cinema presence in Nollywood films, a Nigerian film industry that produces popular drama, depicting terrifying supernatural events within an Igbo/African setting. 6. Amos Tutuola, the famous author of The Palm-wine Drinkard and My Life in the bush of Ghosts, is the father of African Horror. His books are considered modern classics today and have been translated into several languages. 7. Africans respect, fear, revere or abhor their Medicine men. Some cultures refer to them as Juju-men, Root-healers, Voodoo-men or witchdoctors. By whatever name they go, they all boil down to one thing - powerful men (and at times, very rarely, women) whose actions, good or bad, always impact on the daily lives of their people. No African Horror story is ever complete without reference to these powerful and controversial Medicine-men. 8. The Gullah culture of the American South has very strong ties to African culture and their horror stories are very similar to African horror. Today, Eden Royce, author of the book, Spook Lights and one of the few people that still speak the Gullah language, is spear-heading the Southern Gothic Horror, steeped in Gullah beliefs and culture. People that love Southern Gothic Horror will enjoy African Horror too. 9. 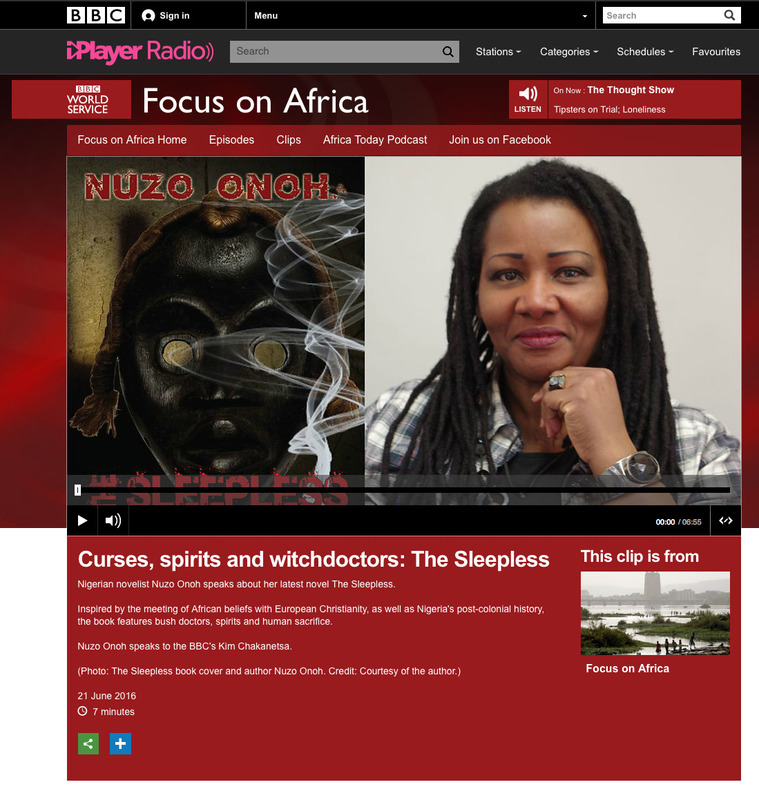 African Horror stories are not Folktales, contrary to popular conception. These days, modern African Horror is written in prose and style similar to mainstream horror, which readers from all over the globe can relate to. My last book, The Reluctant Dead, enjoyed wide readership from fans worldwide, proving that true horror does indeed cross all boundaries. My latest book, Unhallowed Graves, follows in the same style, while retaining its distinct African voice. 10. Finally, African Horror books and films are out there for anyone interested in discovering the terrifying tales from our mysterious continent. Unfortunately, due to the unsatisfactory classification of literary works, one is likely to find African horror books under "Multicultural" rather than under "Horror". Hopefully, in the near future, an overhaul of the classification system will see more horror works by Africans writers and non-African writers writing African Horror, classified under their rightful category - Horror. Nuzo Onoh is a British writer of African descent. Born in Enugu, the Eastern part of Nigeria, formerly known as The Republic of Biafra, Nuzo lived through the civil war between Nigeria and Biafra, an experience that left a strong impact on her and has influenced some of her writing. She attended Queen’s School Enugu before proceeding to the Quaker boarding school, The Mount School, York, England and St Andrew’s Tutorial College, Cambridge, from where she obtained her A’ levels. Nuzo holds both a Law degree and a Masters degree in Writing from The University of Warwick, England. She has two daughters, Candice and Jija and her cat, Tinkerbell. Nuzo lives in Coventry, from where she runs her own publishing company, Canaan-Star Publishing, a self-publishing company that publishes authors from around the globe. A keen musician, Nuzo plays both the Piano and the box guitar and enjoys recording demos of her songs. Nuzo also runs African story-telling workshops for primary school children. Nuzo is a strong believer in The Law of Attraction and the philosophy of mind over matter. Now recognized as the front-runner of African Horror, Nuzo is the author of The Reluctant Dead (published 28th June, 2014) a collection of African ghost stories and Unhallowed Graves (published 28th June, 2015) a novella collection of three ghost stories. Her latest book, The Sleepless, a novel of hauntings and vengeance from beyond the grave, will be published on 28th June, 2016. Nuzo has made 28th June as her annual publishing date so her fans know when to look out for another African Horror chiller from her writing desk. Otherwise, she publishes her other books as and when ready. These are the books written under her pseudonym of Alex Stranger-Onoh .